Old gold color. A powerful, buttery nose with lots of tasty notes: croissant, honey, caramel. The palate is warm and straight, dense: ripe grapes, almond tart with pears, prunes. The finish is powerful, nice and mineral. 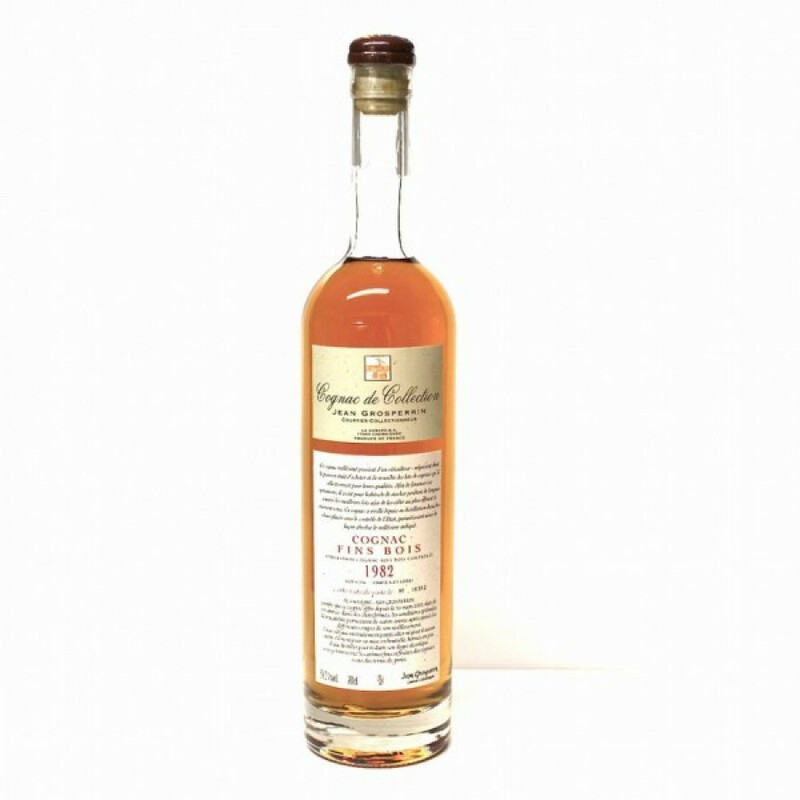 Grosperrin Millesime 1982 Cognac is one of a series of vintage cognas produced by what is reputedly the oldest cognac house in existance (with roots that can be traced back to the 17th century). A complex delight - the aromas and tastes just keep on evolving throughout the tasting experience. This relatively new, independent cognac house was created in 1992 and the brand named after its founder. The actual name of the cognac house is La Gabare and it is one of the few independent houses left in the region of Cognac. A family run firm, La Gabare is all about creating and marketing the finest of old cognacs. They do this under two brand names – Cognac de Collection Jean Grosperrin and Le Roch. Tasting notes by Lheraud Cognac: Fine and elegant, well developed, notes of vanilla, cocoa.